Includes face plate with handle. Reminiscent of the traditional elegance of early 1900s American design, the Bancroft<sup></sup> Suite embodies a nostalgic aesthetic that achieves universal appeal for today's bathroom. This Bancroft<sup></sup> shower faucet trim with White ceramic lever handle features a Rite-Temp<sup></sup>(TM) pressure-balancing valve that maintains a consistent water temperature within 3 degrees Fahrenheit. Its classic lines and solid brass construction provide enduring beauty for a complete, coordinated look. Also available in store by special order only see store for details. With their stylish sculpted silhouettes, Forte faucets complement both classic and contemporary decor. 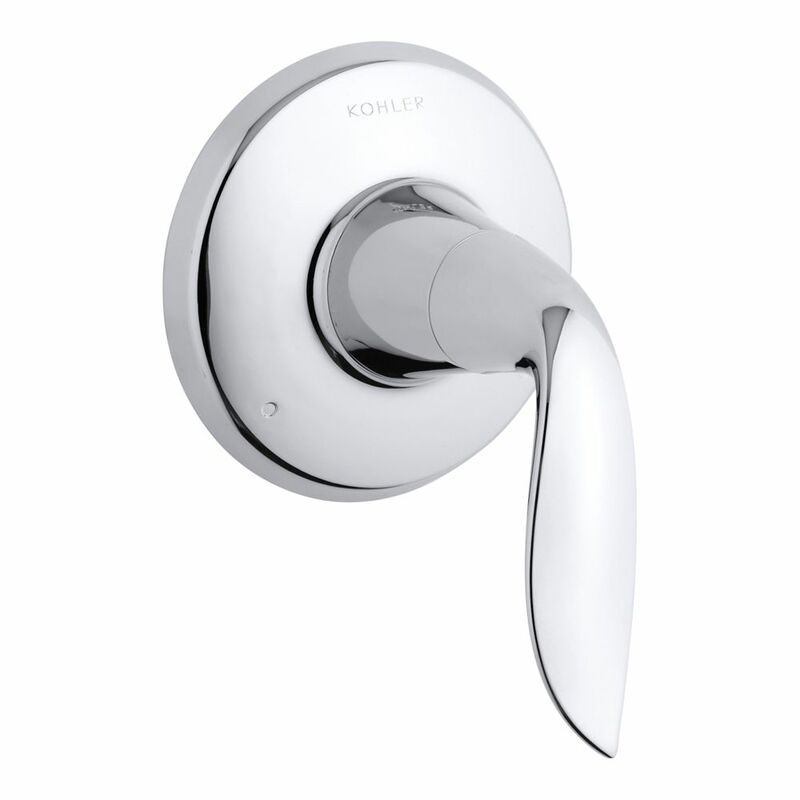 This shower valve trim with ergonomic lever handle offers a vintage look that works with a wide range of bathroom styles. Pair this trim with a MasterShower(R) 2- or 3-way transfer valve to create a personalized shower experience. Blending traditional design with contemporary accents, Margaux faucets and accessories are an ideal complement to any modern bathroom. This shower valve trim embodies Margaux's minimalist style with its fluid lines and sleek, ergonomic lever handle. Pair this trim with a MasterShower(R) 2- or 3-way transfer valve to create a personalized shower experience. Refinia Transfer Valve Trim, Valve Not Included, Polished Chrome With soft lines inspired by nature, the Refinia faucet mimics the gentle, optimist uncurling of a sprouting plant. Elegant, yet understated, the Refinia lets homeowners celebrate the beauty and fluidity of organic forms - while also showing their appreciation for smart functionality.